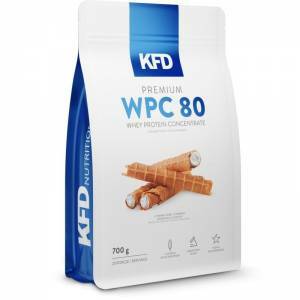 KFD Pure WPC 80 Instant Lactose Free is a limited series of whey protein concentrate with high concentration (80% of dry matter) in 100% natural flavor – without added sweeteners, flavors and thickeners. 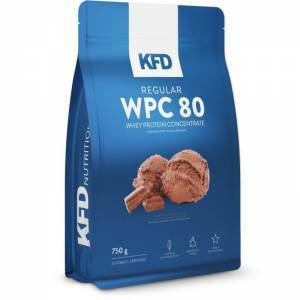 KFD Pure WPC 80 Instant is 100% pure whey concentrate with perfect solubility without added flavors, flavors or fillers. Contains minimal amount of lactose and fat, thanks to the ultrafiltration process it has passed through. KFD Regular WPC 80 does not contain aspartame or other artificial colors and sweeteners marked “E” on the packaging that may have a negative effect on the body. The ideal amount of protein per day varies between 2 to 3 g per kg of body weight, depending on whether or not you do sport.. The steak has got 50g of protein. As such, in order to satisfy your basic protein needs for a good health you would have to eat 5 big steaks per day, or 8 if you do sport. 100% Hi-Protein Standard is the most practical way to satisfy your daily protein needs.